With so many types of orthotics available, little wonder so much confusion surrounds the prescription of these customised, advanced podiatry products. One common reason someone presents to their podiatrist is for advice regarding the treatment and management of foot pain, often associated with a biomechanical problem. Common problems include heel pain, bunions, arch and ankle pain and sports injury prevention. In addition to taping, Laser and RWT, a treatment option may be orthotic therapy. But with the large variety of devices available, it can be difficult to know which may be the best option. 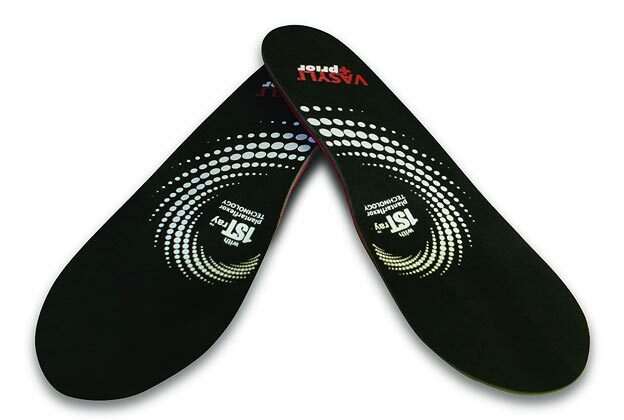 An orthotic is a device worn in the shoe which aims to adjust the function of the foot. They can be custom made, custom modified or off the shelf. A custom made device is one based on an impression of the foot. Traditionally, this was done using plaster or foam, however it is more likely to be done using an electronic form like a 3-D camera or pressure plate. The podiatrist will still need to create a prescription based on an assessment of your biomechanics. The devices are then made from a rigid, semi-rigid or flexible material based on need. Generally, an unstable foot benefits from a more rigid device whereby a foot which is rigid or lacks dynamic motion may find a flexible device better. The devices are either heat moulded on a form, ground from a single piece of material and in recent times, built on a 3-D printer. Custom modified devices are prefabricated shells which have specific modifications added like extra rear foot control or a soft tissue cushion cover. These can be useful for those who don’t require too much control, and are often less expensive. Off the shelf devices may be obtained from chemists, shoe shops and catalogues. These devices are often light, non durable and rarely come with expert advice. However, they can be an affordable or convenient option for those who are in short term need. Choice of device may be influenced by existing footwear, the most common activity performed and the nature of the foot problem. Different providers charge different rates for orthotics and it can be price advantageous to obtain quotes before committing. Health funds also vary with the rebate available. Check which item numbers your health fund accepts to obtain the best rebate. Orthotics should be comfortable to wear, fit in a variety of shoes and should address a specific problem. They should last for more than a year and should come with a warranty. They should not be relegated to the bottom of the cupboard. Contact Hinkler Podiatry if you have questions regarding orthotics and let our friendly, local team keep you on your feet.